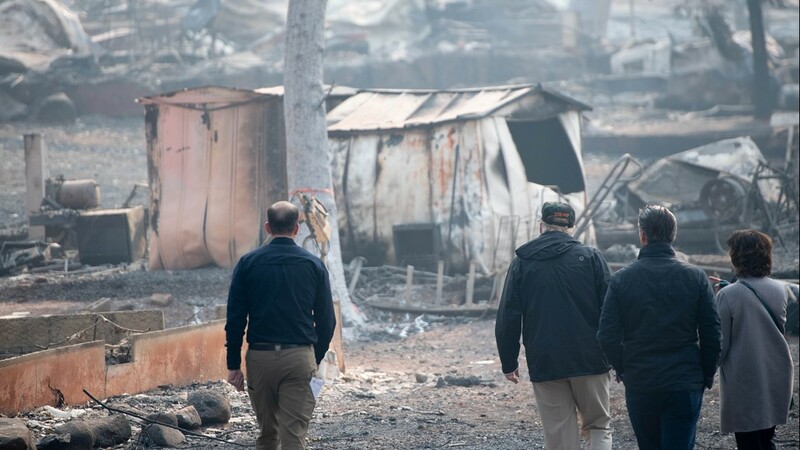 US President Donald Trump speaks with Lieutenant Governor of California, Gavin Gavin Newsom Paradise Mayor Jody Jones Governor of California Jerry Brown and Administrator of the Federal Emergency Management Agency, Brock Long. 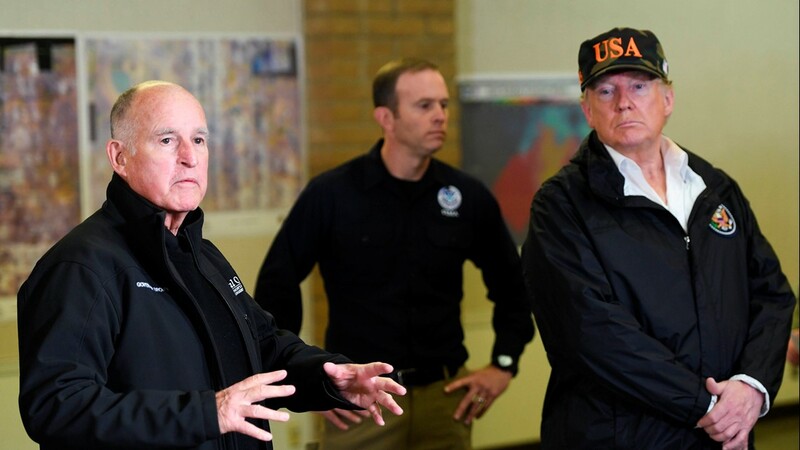 US President Donald Trump looks on as the Governor of California Jerry Brown speaks to the media at the Chico Command Center for the Camp fire in Chico, California on November 17, 2018. 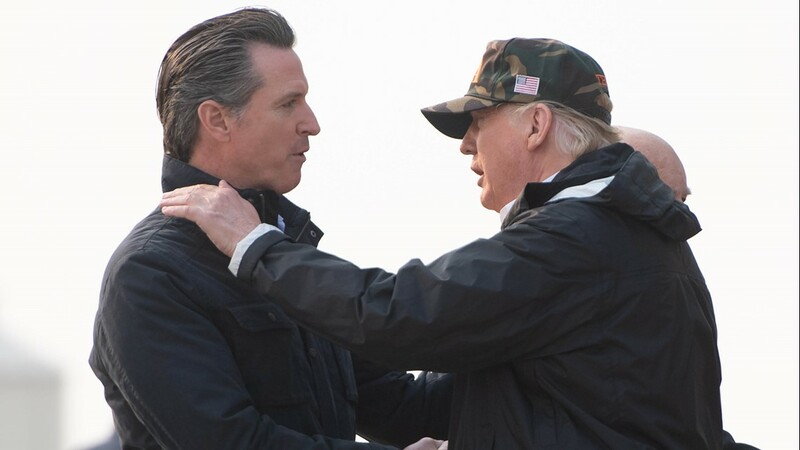 US President Donald Trump greets California Governor-elect Gavin Newsom s he disembarks from Air Force One upon arrival at Beale Air Force Base in California, November 17, 2018, as he travels to view wildfire damage. 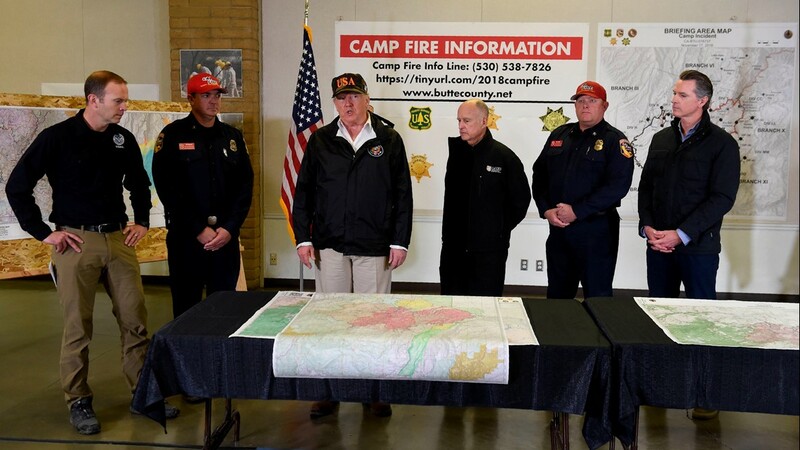 US President Donald Trump speaks to the media while visiting fire fighters at Command Center Chico after viewing damage from the Camp fire in Chico, California on November 17, 2018. 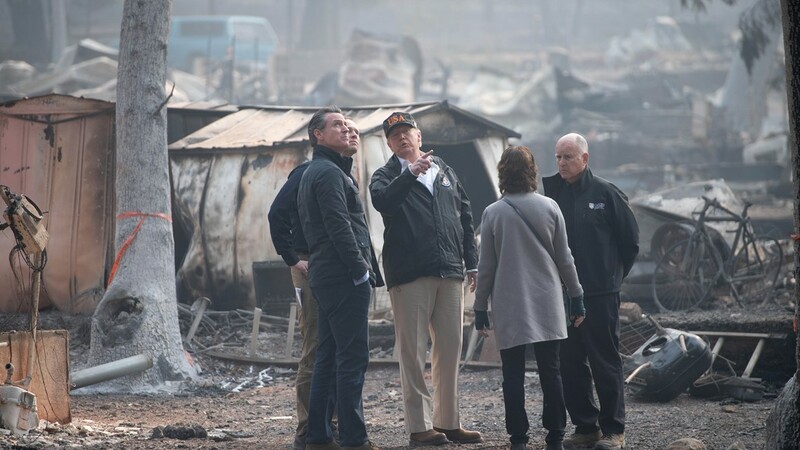 US President Donald Trump views damage from the Camp fire in Paradise, California, November 17, 2018. 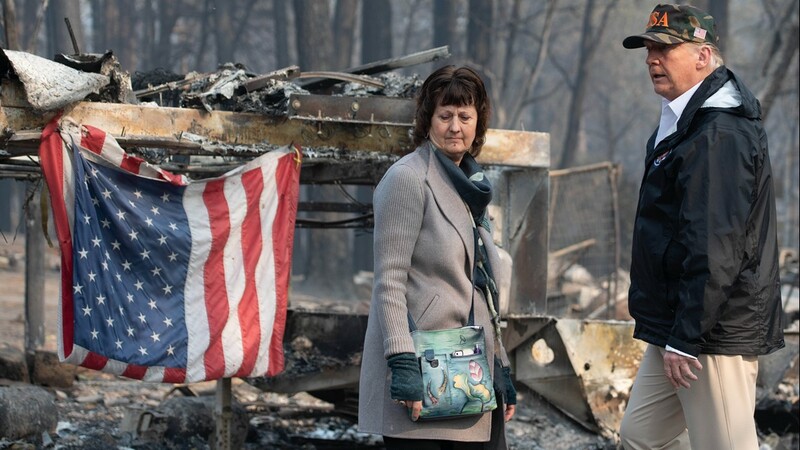 US President Donald Trump and Paradise Mayor Jody Jones view damage from the Camp fire in Paradise, California on November 17, 2018. 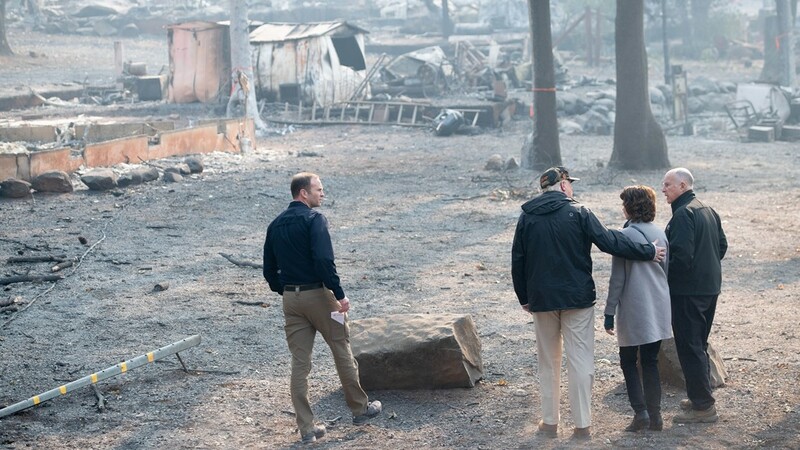 US President Donald Trump (C) hugs Paradise Mayor Jody Jones as Governor of California Jerry Brown Administrator of the Federal Emergency Management Agency, Brock Long look on as they view damage from the Camp fire. 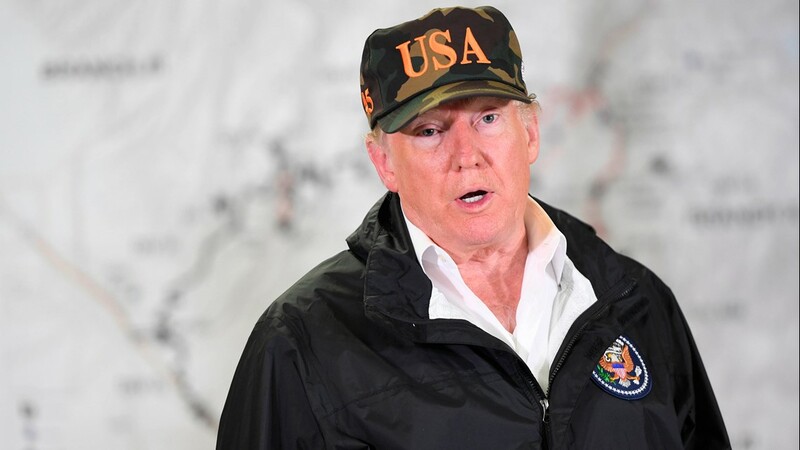 US President Donald Trump speaks to the media at the Chico Command Center for the Camp fire in Chico, California on November 17, 2018. 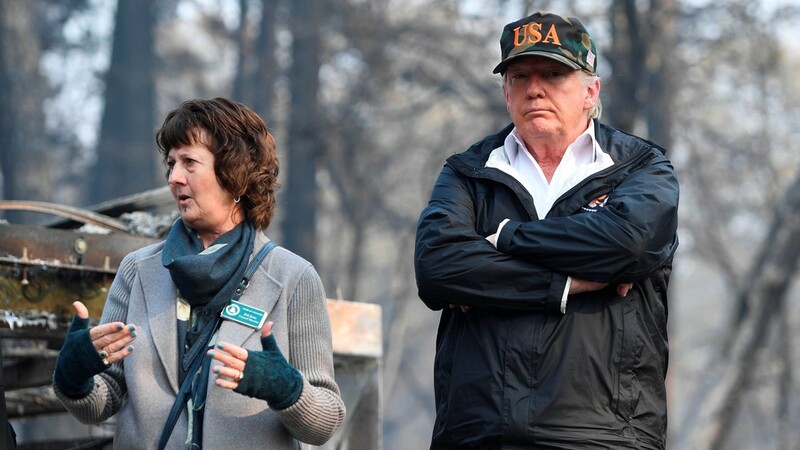 US President Donald Trump views damage from wildfires as Paradise Council Member Judy Jones speaks next to him in Paradise, California on November 17, 2018. 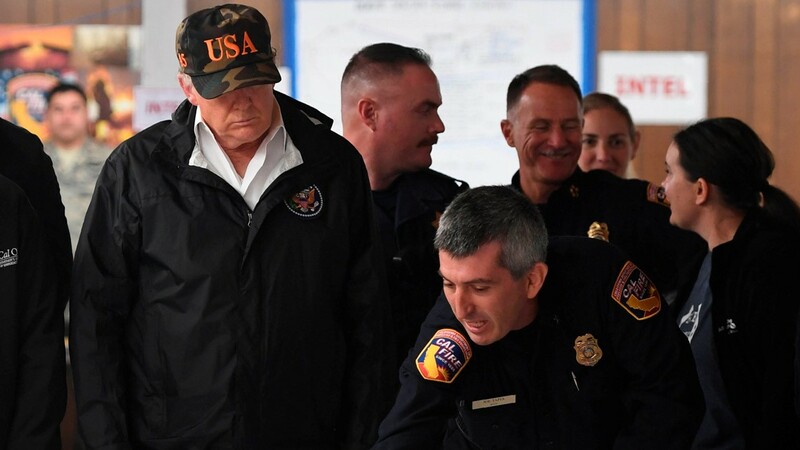 US President Donald Trump speaks with fire fighters as he visits Command Center Chico after viewing damage from wildfires in Chico, California on November 17, 2018.